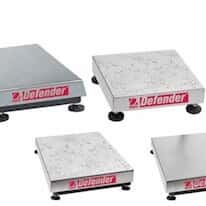 We offer heavy-duty bench and floor scale bases to secure and protect your scales. Select from many great features like durable stainless steel, welded tubular steel construction, and rugged adjustable feet. Other bases that are NSF certified, USDA-AMS accepted, and HACCP certified are ideal for use in the food industry.